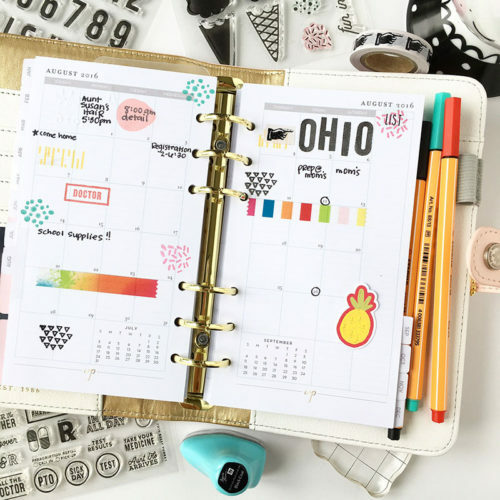 How do you organize your month at a glance? Do you decorate? Do you just fill in the necessary appointments? Do you skip the monthly and strictly use the daily? These are all questions I get asked or have seen asked. Here I will tell you how I use a month at a glance. My planner is the second book most important to me. It keeps my tasks and life organized. I personally use it as just that. So here I wrote down my important dates then decorated around it. I love using light colored stamps to decorate because then, if I need to write over it, I can do so and it wouldn’t be hard to read. What I love about my month at a glance is that I can turn to this page and see what’s happening at a glance. I can see when I am most busy and when I can make more room. All while making it beautiful (most of the time). Thanks for stopping by today. Be CREATIVE and stay motivated. Have a super day!! Hello again Friends! I hope you are all well! Another month has gone by and I have another layout to show you. 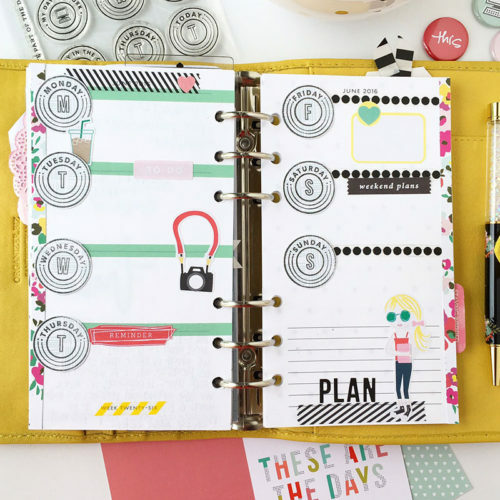 Keeping my planner fun and functional are some ways that keep me motivated to use my planner. But since summer has gotten the best of me, my planner has been (a little bit) neglected. I’m just really enjoying my kids and the summer sun. Who’s with me on that? Well, what I did for week twenty six was, I used Felicity Jane Chloe paper to add borders and circle punched 7 pieces of light decorative paper. Then I stamped each day of the week on it using my Kelly Purkey My Day stamp set. I used black and white striped washi stickers from Felicity Jane and Scraptastic Club stickers. Then I added my trusty washi tape to decorate and section off my days. And that was about it. 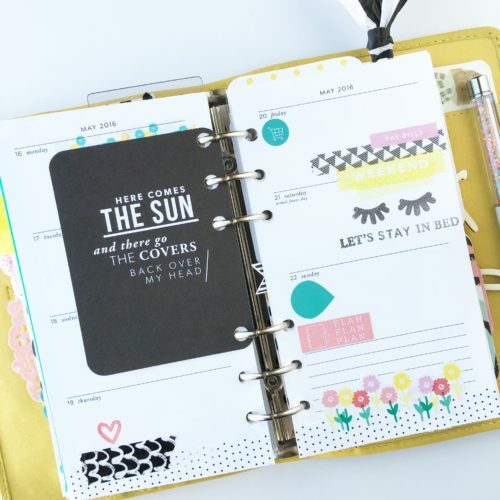 I love how you can really create and try anything in your planner because it’s all a creative process and most importantly, it’s your style. I hope you enjoyed this my friends. Until next time, happy planning and stamping! 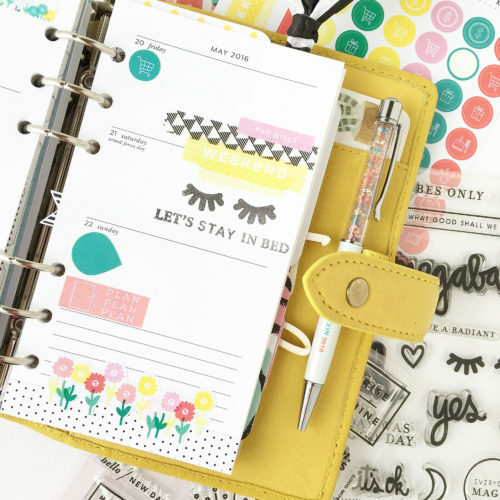 Hello my Planner Friends!! 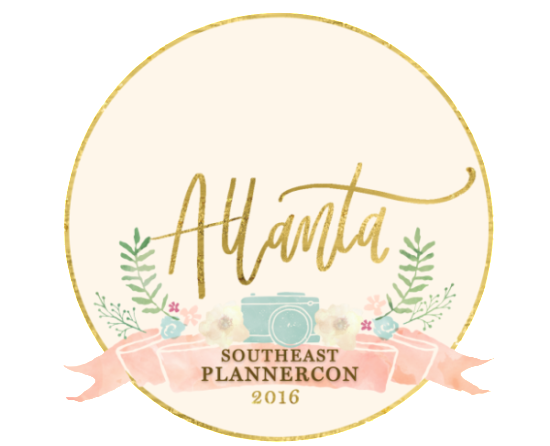 I am excited to announce that I will be one of the Workshop Hosts for PlannerCon 2016 in Atlanta on April 16, 2016. 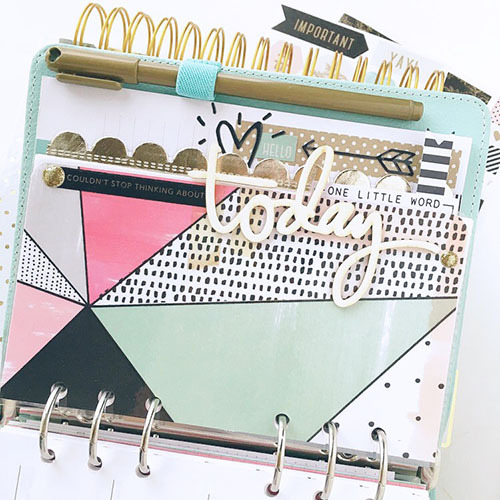 My workshop is called “Let’s Create” where I will be demonstrating how using scrapbook materials in creative planning is another alternative to other planner-specific items. I will show you how a little creativity and a few tools can help you achieve the look you want, most importantly, making it be-YOU-tiful. You will walk away with some of my favorite products from my favorite brands. I am so excited for this event! I hope you will join me!! You can find more information about the event here and purchase tickets here. Hello my beautiful friends!! As most of you may know that I love creative planning and paper crafting so when I was invited to guest design for Gossamer Blue, I couldn’t pass up the offer. 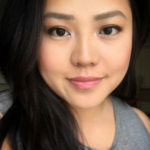 I showcased how I used their January kits and am so grateful to have been given that oppurtunity. 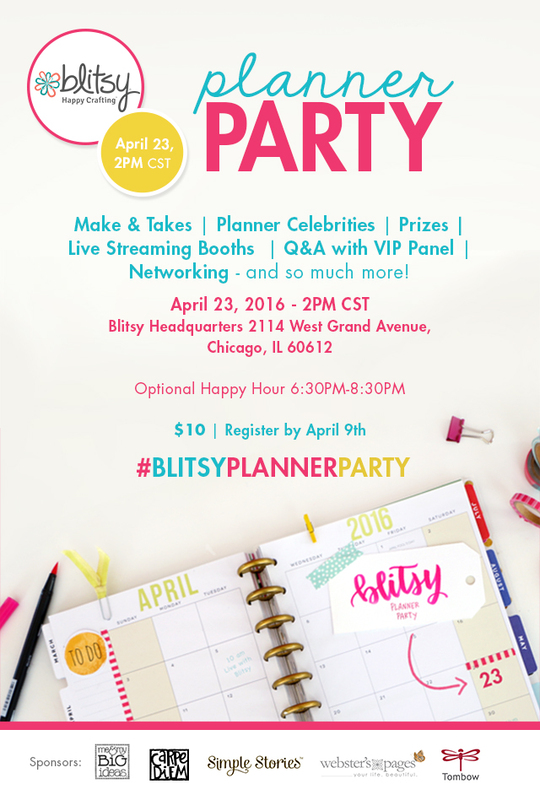 I got to work with some amazing products as well as some planner specific supplies. Check out Gossamer Blue’s website here to see more projects I made.